It was a night to remember for the University of Sunderland’s homegrown radio talent after they scooped a catalogue of top prizes. 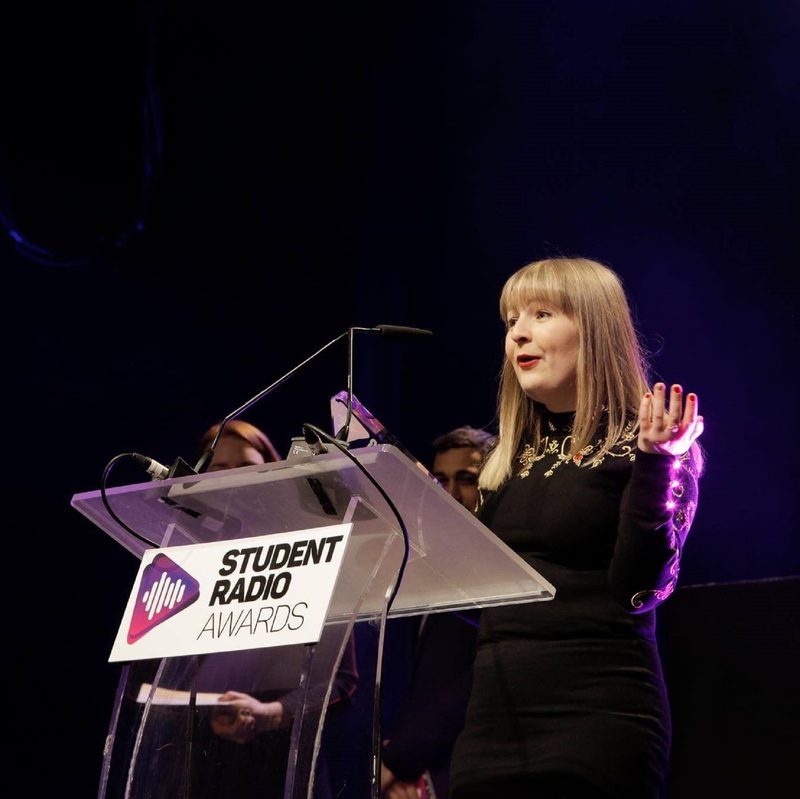 Sunderland MA Radio graduates cleaned up at this year's Student Radio Awards, Supported by BBC Radio 1 and Global Radio, at the O2 in London, winning 4 Golds and 1 Silver. But for Emma, 25, the glory takes second place to the important message her work is making by reaching so many young people. Emma, currently interning with the Chris Moyles Show on Radio X, said: “What was so rewarding was that young people were coming up to me last night saying how moved they were by my podcast and what a difference it made. Emma’s award-winning podcast dealt with the horrific death of Alice Ruggles, murdered by her former boyfriend in October 2016. Emma had interviewed Alice just a year before she was killed. So moved by the tragedy, Emma, a graduate in Advanced Radio Production and Management, felt she needed to warn others about the dangers of stalking. The then student met and interviewed the family and friends of Alice in the months following her death. Emma, from Wallsend, said: “After what happened to Alice, all I could think was that this could have been me, or one of my friends. Emma’s documentary podcast, ‘Alice’s Story’ would go on to receive a Silver Award from the Charles Parker Prize. She also won Gold at the New York Radio Award and Stuarts Silver New York Radio Award for Best Student Documentary earlier in the year. This week’s prize adds to her growing collection of awards. Lance Corporal Trimaan “Harry” Dhillon is currently serving a life sentence for the murder of 24-year-old Alice at her Gateshead. Dhillon had driven 120 miles from his barracks near Edinburgh to confront Miss Ruggles before murdering her. A jury at Newcastle Crown Court convicted him of murder after they took less than two hours to dismiss his story that she had accidentally stabbed herself. A year before her death, Alice, who had been working for Sky in Newcastle, was interviewed by Emma for a project about moving from university into working life. “It was funny,” recalls Emma. “I turned up to interview her and we were both wearing the exact same outfit from New Look. After hearing about the murder – and the subsequent campaign of stalking which Dhillon had inflicted on Alice – Emma felt she needed to do something. The interviews would form the basis of the Alice’s Story podcast in which listeners hear first-hand about the campaign of stalking which ultimately led to Alice’s death. Emma is currently in London making a name for herself in the radio industry. She said: “I’m working on the Chris Moyles Show until December and then will be looking for similar work. Other Sunderland winners were MA Radio graduate Stuart Russell who picked up Golds for Best Podcast and the Kevin Greening Award for Creativity, the top Student Radio Prize.